According to the modern interpretation, Peridot is a birthstone gem of August. If we consult the traditional birth gems chart, however, the August birthstone is Sardonyx. Yet the spritual classification (Mystical Birthstones by Olga Rezo) associates Rock crystal with the month of August. In this post we will mainly use the modern chart of gemstones, and talk about Peridot. Feel free to explore the other recommended gems. This is especially true if you are a spiritually inclined person, in which case you should consider using Rock crystal in parallel with Peridot. Peridot is a great source of positive vibrations that people born in the month of August can readily use. This stone can bring abundance, health and joy, including positive emotional states. It is a great gemstone for attracting wealth and prosperity. This birthstone of August comes in lovely olive, green and brown color. Occasionally, the color of Peridot can assume golden overtones, in which case it is even more attractive. Gem quality Peridot is transparent and may have high luster. Some of the best quality rough samples of Peridot come from Pakistan. As a rule, the pure lime color without any additional impurities is most valued. The structure of Peridot is orthorhombic, while its composition is magnesium iron silicate. The presence of iron in the crystal structure of Peridot is responsible for its color. 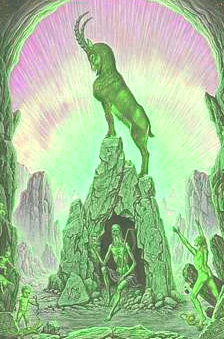 The symbolism of the green color is clear: it means regeneration, recuperation, healing and serenity. The alternative name of Peridot is Olivine. This name obviously refers to the unique olive color of this August birthstone. 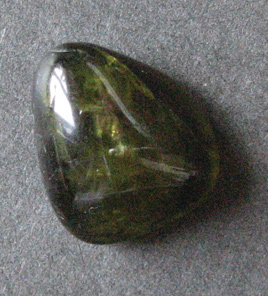 Chrysolite is yet another variation of this stone. The name Peridot might have been derived from the word “peridona”, which in Greek means “stone that gives plenty”. There are two Zodiac signs in the month of August: Leo, which corresponds to people born from 1st to 22nd of August, and Virgo, which corresponds to people born between 23rd to 31st of August. Both can use Peridot as their birthstone, but Peridot is somewhat more suited to the Leo astrological sign. Additional stones, are Sardonyx, Rock crystal, Diamond, Onyx, and Carnelian. Peridot has been used in various magic rituals by the ancient peoples. It was believed that wearing a Peridot amulet could protect the wearer from evil influences. The ancient Greeks used it in their rituals of divination. 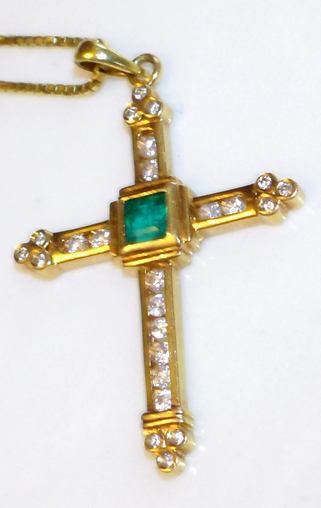 The Celtic priests wore Peridot for protection during the pre-Christian era. 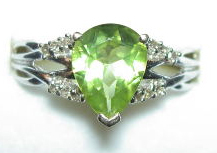 Peridot was used for jewelry making and was very popular among the American Native Indian tribes. Peridot is considered a crystal of visionaries because it is believed to bring many insights ito the physical and more spiritual meaning of life. Much like Pyrite is considered fool’s Gold, Peridot is considered poor man’s Emerald. Peridot is a stone of the earth element. This August stone can be used to fight depression. On the level of the physical body it helps eliminate toxins from the body. It helps the bloodstream, heart and lungs. Peridot is also believed to help heal ulcers and digestive problems. It is good for the hair, skin and nails. Peridot promotes all the processes of growth, renewal, rebirth, and rejuvenation. Because it reduces the amount of stress and negative emotional states, Peridot can help heal and harmonize all human relationships, especially marital relationships. If you are born in the month of April, and especially if your astrological sign is Leo, Peridot is your birthstone. There are many useful stones that you can use besides Peridot, but this August birthstone should always be a part of your collection, either as a lose stone or in a form of Peridot jewelry. When purchasing your August birthstones, try to avoid green colored CZ (cubic zirconia) and/or other simulants that are often sold as August birhtsones. In contrast to natural Peridot, they have virtually no metaphysical value.